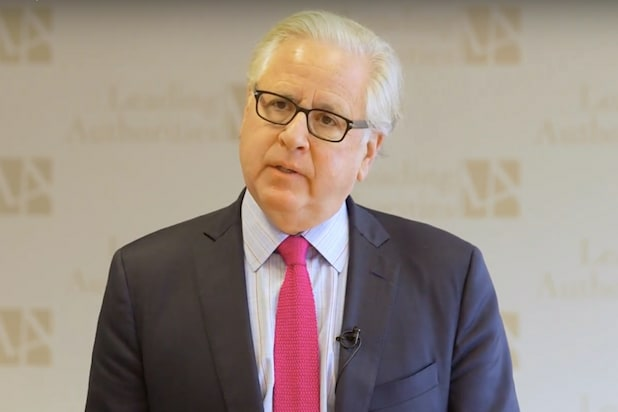 HuffPost Global Editorial Director Howard Fineman announced Thursday he will be leaving the publication for NBC News. Fineman joined HuffPost from Newsweek in 2010 after an invitation from it’s eponymous founder, Arianna Huffington. Since that time, the website has experienced explosive growth — but also periodic layoffs and frequent newsroom turbulence. Reps for Huffington Post and NBC did not immediately respond to request for comment from TheWrap. Huffington Post founder Arianna Huffington sits down with TheWrap CEO Sharon Waxman for a GrillChat interview at TheWrap's headquarters in Los Angeles on April 14, 2016. Lynda Dorf of the Lynda Dorf Company, left, and LT-LA's Christy Grosz were among the guests. Guests and TheWrap staffers at GrillChat session. TheWrap CEO and Editor-in-Chief Sharon Waxman and guests. 15 Minutes Public Relations' Brandon Shaw and guests. Arianna Huffington signs copies of her new book, "The Sleep Revolution." Can Lydia Polgreen Fix ‘Miserable’ Huffington Post?